I want to share the latest update on the Plant-Based options at PPS. You can read how this initiative started, and who the partners are here. We have met with PPS Nutrition Director twice, and have held two public meetings with various parents, students, and community members. It has been gratifying and motivating to see the amount of support that adding a plant-based option in addition to the standard meat option has garnered. We have people who care about the environment, health and animals who range from omnivores to vegetarians to vegans. We want to make this concept something that will be appealing and available to everyone. I believe that our Nutrition Director is committed to offering the best options to our students and that we can work together to make this successful for PPS by making this a popular choice which boosts the number of lunches served. In order for them to make this shift, we need to show that there is support for greener lunches. We know that there is a youth-led Climate Resolution which has been approved and will be implemented in our schools, and more youth are concerned about Climate Change. This issue will not go away and we must get started now since it takes time to develop. Portland’s Climate Action Plan also highlights this need for reduction in animal products to reach our carbon emission goals. The link to factory farming’s effect on our planet is finally more understood. Project Drawdown lists a plant-rich diet as #4 on it’s comprehensive solutions. #3 is food waste. We need to make these lunches delicious, healthy and appealing so that we can tackle both of these solutions at once. The exciting idea around bringing these climate-friendly options to our students is that we can also include the diversity and naturally plant-based ethnic foods that are very popular with children growing up in Portland’s foodie city. 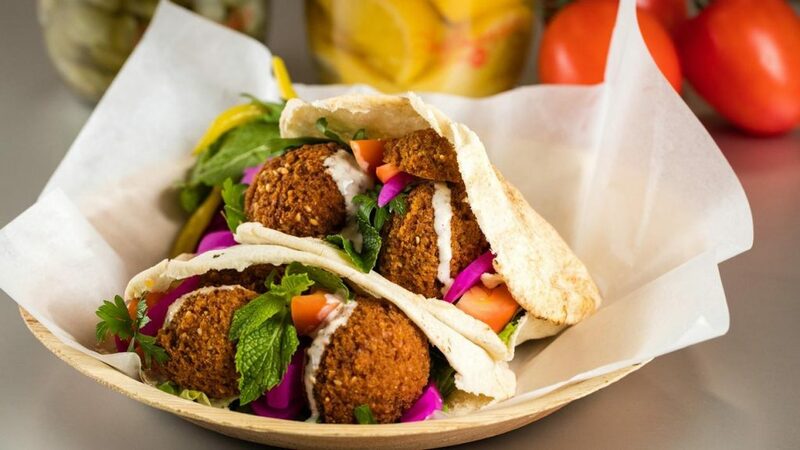 Imagine Middle Eastern falafel, hummus and tabouleh, Indian chickpea curry, Vietnamese vegetables and tofu, and more. We have students from all parts of the world, and we can include this cultural education along with the meals. As we develop this appreciation and supply chains for these plant protein options once a week, we can expand it to once a day. Does this seem far-fetched? Consider that Richmond Japanese Immersion School is already implementing a Japanese lunch day that has plant-based options with great success. And that we have other immersion programs in Russian, Chinese, Spanish and Vietnamese that could add to this variety as well. If we want to be truly equitable, this should be available for all students at all schools. We also feel strongly that those on free and reduced programs should have the healthiest options available. What are the next steps? We are planning a meeting for MAY 20 (late afternoon, venue TBD) that will include Whitney Ellersick, Director of PPS Nutrition, Chloe Waterman from Friends of the Earth, Katie Cantrell from Green Mondays, as well as our parent, teacher and student coordinators. 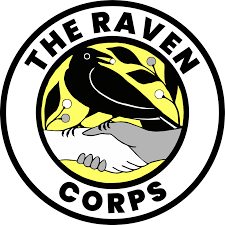 We are excited to officially welcome the Raven Corps as partners, a nonprofit organization consisting of local high school environmental leaders and activists who focus on plant-based food options. We really need YOU to spread the word about this initiative to your schools. It is important that we include the diverse communities in our area. Let’s make sure we include schools from all quadrants. Please take our poll, and join our email newsletter for updates. You can also follow along on Facebook or Instagram. You will know when there are student taste tests and how to get involved. Let’s add Portland to the growing list of the schools in our nation adopting healthier, eco-friendly lunches!